August 25, 2011 – Journey to my heart…. 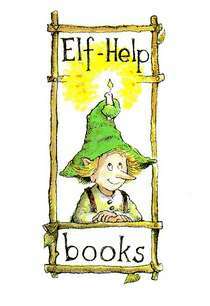 I have a favorite little series of books that are called elf help books. I have used them on and off throughout my work with adoption and Hospice. Courage means taking risks even when doing so plunges you into the anxiety of the unknown. Act with faith! Often people fall short, not because they’ve tried and failed, but because the fear of failure kept them from trying at all. Courage means daring to make mistakes and learning from them. Dare to err. Your courage can be an inspiration to others, maybe even the inspiration needed to change lives. Don’t underestimate the power of your example! Let little people teach you the way of courage. They know innately that too much thought can sometimes get in the way. And with those thoughts, I invite you to be courageous in a new way tomorrow. I wonder what would be different in your life each day if you chose courage when confronted with something that you shrink away from?